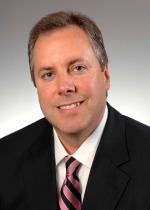 Cleveland-based CBIZ, Inc. (FY12 net revenue of $615 million) has named Chris Spurio as President of CBIZ Financial Services. Spurio, who most recently served as COO of the financial services practice, is now responsible for the group’s day-to-day management and strategy with a focus on organic growth and internal strategic initiatives. His predecessor, David Sibits, will refocus his efforts on external initiatives such as mergers and acquisitions and recruiting senior level talent. Sibits remains on the executive committee and assumes the title of Senior Vice President, Strategic Development of CBIZ Financial Services. Sibits’ tenure began in 2007 and includes notable accomplishments such as instituting a recruitment strategy for new personnel and company acquisitions. His efforts expanded the CBIZ footprint into markets such as Boston, New York City, Memphis and Florida. Spurio joined CBIZ in January 1998 and served as Corporate Controller until 1999, after which he served as Vice President of Finance until 2008. 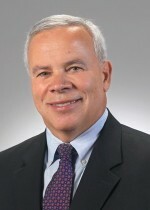 From 2008 to 2010, he served as Executive Managing Director of the Financial Services Group’s Midwest Region. Prior to joining CBIZ, Spurio was associated with KPMG LLP. He is a CPA, CGMA and a member of the American Institute of Certified Public Accountants and the Ohio Society of Certified Public Accountants.